Neo-Rio says: Based on the 50s cowboy movie of the same name, complete with a rendition of the theme tune. The animations are cute with some nice touches - particularly the undertaker. 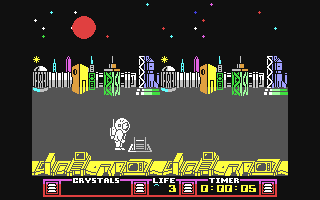 A nostalgic trip, although not the greatest game ever. 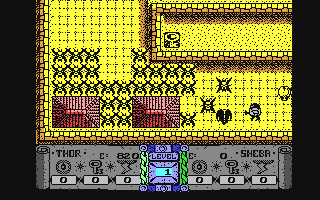 Neo-Rio says: A playable little platform game, as you try to get your little man down to the center of the Earth. No doubt you'll get a surprise when you get there! 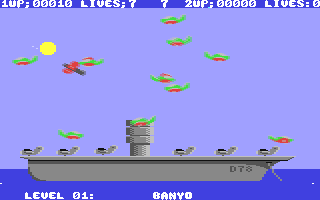 Neo-Rio says: This ninja game looks bad, but is playable for some reason (either that or I find it nostalgic). 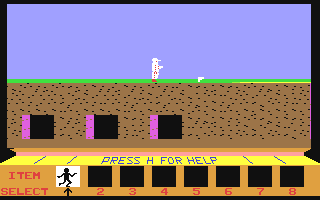 You have to steal a disk (I think) and then escape in a helicopter. 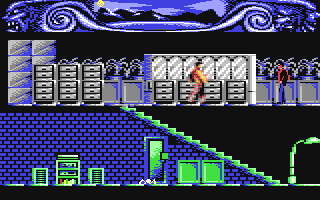 Neo-Rio says: This game, based on an Italian comic book character, is a real overlooked gem. Great atmosphere and arcade adventure gameplay. The game ending is pure class as well. 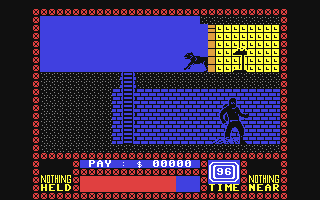 Comparisons to the Last Ninja are obvious. 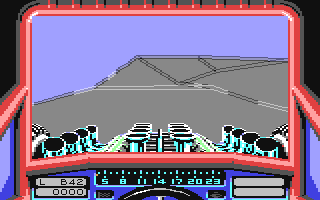 Matt Larsen says: This was the best 3D car racing game ever! When I drove off the stunt track I would actually get butterflys in my stomach waiting to hit bottom! 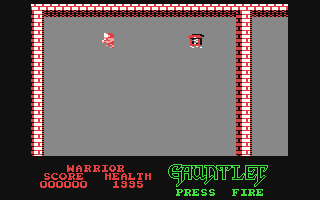 graveyardjohn says: The official Gauntlet clone was alledgedly very bug-ridden, though the version I had on cassette didn't seem to pose any problems to us. Unless of course my brother and I were very poor at it and couldn't get far enough for it to crash! Not a bad conversion, all things considered.